The smear campaign, muckraking and dirty politics of Democratic candidate John Acha and the Garfield County Democratic Central Committee has directed accusations not only at John Martin but the entire Board of Commissioners, county government and county employees. Mr. Acha states rules are optional at Garfield County, that there is waste, fraud, abuse and corruption at the highest levels. His outrageous rhetoric is a direct attack on all of Garfield County and is directed at the very foundation of our county government. Before I go any further, I need to defend our county government and its employees. The employees at Garfield County are hardworking, conscientious, professional, dedicated and well-educated. Garfield County and its employees provide a good service and a good product. As commissioners, we are public servants who took an oath to serve the health, safety and welfare of the citizens. As commissioners, we are not saints, we are human, we make mistakes and we do our best to correct them. We are also not sinners, as the Democratic Central Committee portrays us. The central committee has had four lawyers and spent hundreds of volunteer hours going over thousands of pages of documents. The best they can find is an audit where Commissioner Martin did the right thing and paid back per diem funds in question to protect the county and his integrity. Let’s get some facts on the table. 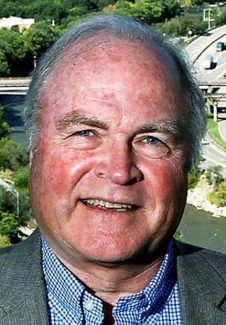 The $1,800 in per diem Commissioner Martin received from Colorado Counties Inc. covered three years, nine different meetings and a minimum of 45 days of travel and meetings. The average per diem would be $40. CCI does not require Commissioner Martin to provide receipts of expenditures, and no county policy was violated by accepting per diem advances or by not reporting it to the county. There is no evidence to support the accusation that the per diem expenses were also charged on a county credit card. Any reasonable person would understand that $40 per day does not cover meals and travel expenses in Washington, D.C., or any other major metropolitan area. By reimbursing the county, Commissioner Martin more than accounted for any errors in record keeping. In fact, Commissioner Martin most certainly overcorrected any spending discrepancies. As an example, I have traveled with Commissioner Martin to the National Counties Association meeting in Washington, D.C. Commissioner Martin, instead of taking the cab from the airport to his hotel, paid cash and took the subway. Because the commissioner overcorrected in paying back the county, Commissioner Samson and I paid back a portion of those funds. We did not think it was right for Commissioner Martin to have to pay back the entire amount himself. Then through the Democratic Central Committee’s open records request, they somehow got ahold of our reimbursement checks. Candidate Acha then posted those checks on his website, with our routing numbers, account numbers, addresses and signatures. This action victimized not only us but our families. You can take this as disrespect, poor judgment or breaking the law. This is probably a combination of all the above and gives a little insight into the character of John Acha. When the Glenwood Springs Post Independent characterizes John Acha as “Unready John,” that is probably an understatement. His actions and his words are an insult to the reputation of Garfield County, the reputation of the county management and its employees. As county commissioners, we do our best to represent the county with integrity and strive to be good public servants. In addition, we understand that politics —even local politics — can get ugly. It goes with the territory. However, this scorched-earth campaign is over the top and does not represent the good people and character of Garfield County. Finally, take a good look at Mr. Acha’s platform. Other than negative criticism and portraying himself as a government official you will find there is not much there. Tom Jankovsky is a Republican Garfield County commissioner.